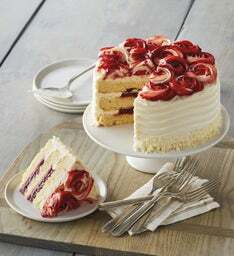 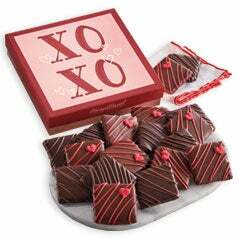 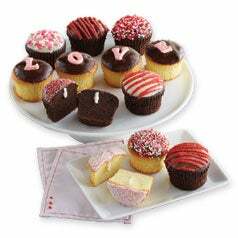 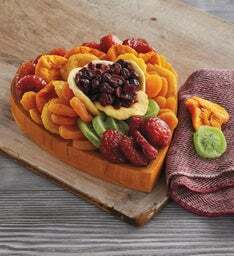 Celebrate one another this Valentine’s Day with thoughtful gifts and delicious treats to show you care. 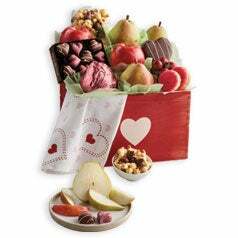 Our Valentine’s Day gift baskets and gifts are perfectly suited for every Valentine’s Day celebration! 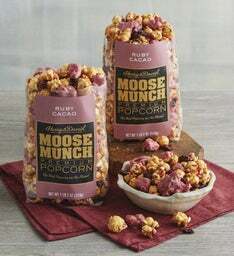 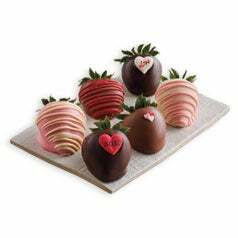 Valentine’s Day gift baskets include chocolate covered strawberries with heart-shaped cookies gift baskets, famous pears with wine gift boxes, and decadent chocolates or Moose Munch candied popcorn gift baskets. 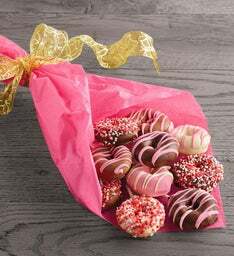 With heart-shaped chocolates in our Valentine’s Day chocolates gift baskets or gourmet cookies and wine in our Valentine’s Day bakery gift baskets, our Valentine’s gifts and gift baskets are perfect for any recipient. 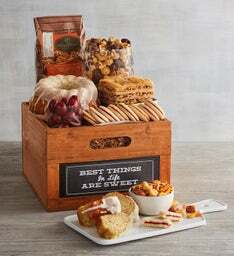 Whether you’re searching for a romantic at-home dinner for two or a sweet Valentine’s Day gift basket full of chocolates and treats to remind friends and family how much you care, our selection of deluxe Valentine’s Day gifts and gift baskets are sure to impress. 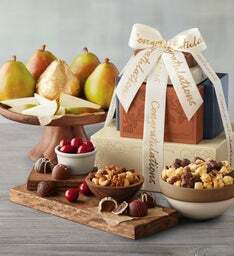 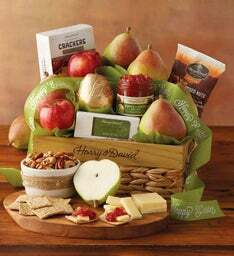 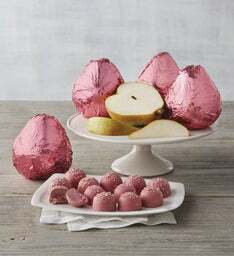 With our Valentine’s Day gifts, you can choose from a variety of options, like Valentine’s fruit gifts including our famously smooth and juicy pears or exciting combinations of exotic fruit. 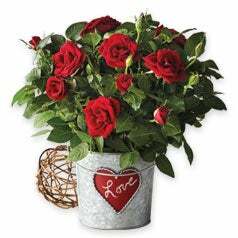 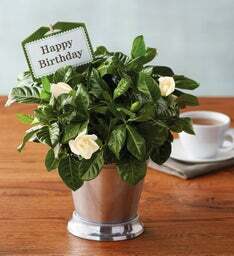 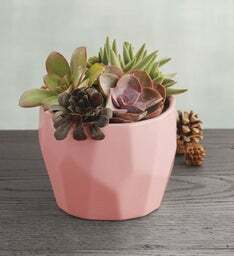 For perfect Valentine’s Day flowers, Harry & David offers truly stunning fresh-cut blooms, as well as potted plants your valentine can enjoy all year long. 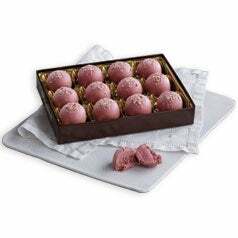 Harry & David® truffles, caramels, and more made with our proprietary blend of gourmet chocolate will make your Valentine’s Day sweet and elegant. 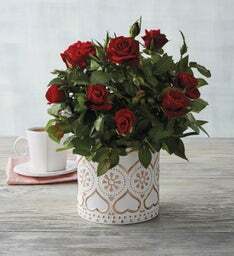 Harry & David offers expedited shipping and guaranteed delivery, so even if your recipients are far away this Valentine’s Day, you can rest assured their Valentine’s Day gifts will arrive on time and in perfect condition. 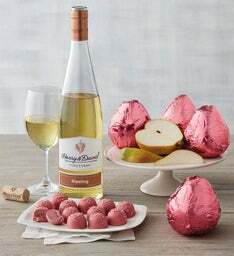 Choose the perfect combination of Valentine’s Day gifts for her with a selection of vibrant, richly hued roses; delicious treats like hand-dipped and decorated chocolate-covered strawberries; and award-winning Harry & David™ wines. 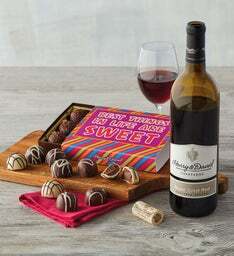 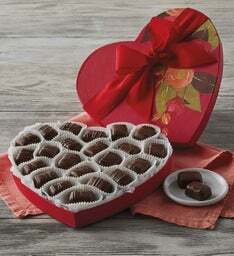 You’ll also find great Valentine’s Day gift ideas for him, including Valentine’s Day gift baskets full of sweet and savory treats he’ll crave, along with unique and sophisticated options like dark chocolate truffles made in our own candy kitchen.